Let this intricatly detailed dragon guard your power to dispel the darkness. 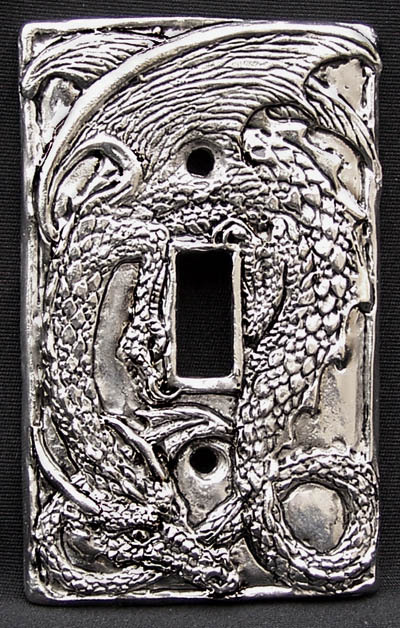 We make this switchplate cover by hand from lead-free pewter. It will fit all standard single switchplate covers.